CoachProxy can control and monitor most items that are on your Spyder Controls multiplex system. The specifics of what can be controlled or monitored depends on the year, model, floor plan, and options in your coach. ¹ Available on 2018 or newer coaches only. ² Available on 2019 or newer coaches only. 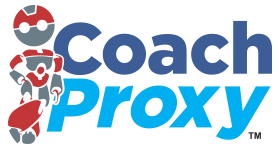 CoachProxy can report the status on a number of items in your coach. ¹ Only the House Battery is available. ² Phaeton, Bus, and Zephyr only. CoachProxy can alert you via e-mail based on thresholds you set. CoachProxy must have access to the Internet for notifications to function. Please see our Connection Methods page for details on how to connect CoachProxy to your router or hotspot. Important! Internet connectivity can vary, and e-mail delivery is never 100% reliable. CoachProxy notifications should be considered a convenience feature, not a critical or life safety feature. Read more about the CoachProxy Voice Integration add-on. With CoachProxy and our optional Remote Access Service (a $4.95 monthly subscription with a one-month free trial), you can connect to CoachProxy from anywhere through our secure VPN. Out to lunch and want to turn on your air conditioners? Grab your phone and select “A/C” on CoachProxy’s “Climate” page! Need to check your battery or tank levels? No problem! Note: If you only want to control CoachProxy when you are at your coach, the Remote Access subscription is not needed. Read more about the CoachProxy Remote Access Service add-on. You can always access CoachProxy while inside or near your coach, as long as you are within Wi-Fi range. Did you go outside to get something only to find your Bus’s cargo doors are locked? Grab your phone and click “Unlock” on CoachProxy! Notifications, Remote Access and Voice Control require that your CoachProxy has Internet access. This is typically achieved by running your own internal Wi-Fi network in your coach (with a router, hotspot, Jetpack, or other method). We’ve designed CoachProxy to use very little Internet data; however, we are not responsible for any cellular or Internet usage charges. If you buy CoachProxy and then later upgrade to a new or used Tiffin coach that we support, your CoachProxy can easily be reconfigured to work in your new coach! As coach owners, we wanted to know this as well. We worked directly with Spyder Controls to be sure that CoachProxy would not interfere with normal operations. CoachProxy acts just like another keypad on the Spyder Control network, so there should be no warranty issues with using CoachProxy in your Coach. As coach owners, we firmly believe that when you move a slide room, you should be inside the coach to watch and listen for issues. We have all heard of someone crushing something or even bending a chair. And let’s not forget about your furry family members. We absolutely would not want anything to happen to one of them if you are standing outside the coach moving the slide remotely and did not see what was going on. The argument that you want to be sure you are outside so your slide does not hit something can not compete against the chance of crushing something inside the coach. The only physical motion controls within CoachProxy are for window shades, the small entry door awning, the TV Lift available on some coaches, and the bed lift available on some coaches.